Fluor Corp. announced on Tuesday that it has been selected by Westinghouse Electric Co. to manage construction projects brought on by the recent acquisition of two CB&I companies. The construction projects consist of two reactors being built at the Vogtle Nuclear Power Plant in Waynesboro, Georgia, and two reactor units at the Virgil C. Summer Nuclear Generating Station in Fairfield County, South Carolina. According to the announcement, Fluor’s management work is set to commence immediately under a professional services agreement. They will begin by assessing both construction projects and will move forward with the planning of a transition of duties and responsibilities associated with plant construction management. Pre-existing conditions from prior management will not be under the liability of Fluor. “We are very pleased with the vote of confidence that Westinghouse and the nuclear facility owners have placed in our company to manage the construction of these two U.S. nuclear mega-projects,” Fluor CEO and Chairman David Seaton said. Westinghouse entered an agreement to acquire CB&I Stone & Webster Inc., which are the primary nuclear construction business entities under CB&I. 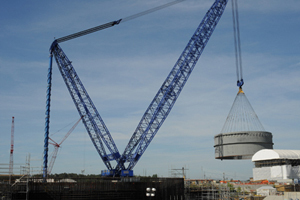 With this, Westinghouse took on all engineering and construction management operations, including the two construction projects at Vogtle and V.C. Summer.